Spacious room with very accommodating staff. We were only there for one night so we're not sure if we received any VIP benefits or whether they were just part of the regular service. Good location near Union Station and 30 minute walk to African-American Museum. Hotel and staff very helpful and go out of their way to help. Great location and value. This was my second time staying at this hotel and I’ll be back. The location of the hotel was perfect! Within walking distance to several different museums and the train stations. The continental breakfast is fantastic. You have alot of breakfast food to choose from and all are good choices!! We really lijed this hotel. You won't regret staying here!!! We loved location which enabled us to walk to everything. The staff especially Sebastian in the restaurant made us feel special. The hotel is old, so the rooms/bathrooms are little outdated. But we will come back if we're in DC again. Decent property and good value. Most service was great. Housekeeping neglected only request for do not disturb sign. Cups missing for water in lobby. Small details, but noted all the same. all good! stuff excellent, water in front of counter is goog! 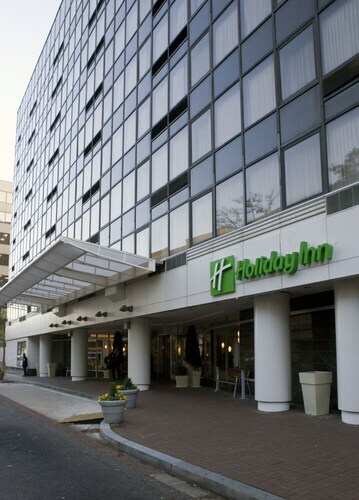 Good hotel within walking distance of the National Mall, the museums, and great restaurants. Great location, close to Washington Memorial, Arlington Cemetery, and the National Mall. This hotel was chosen, based on previous reviews and the closeness to the National Mall and tourist attractions. National Mall is located in a historic area of Washington known for its notable monuments and top museums. Washington is home to 892 hotels and other accommodations, so you can find something that's perfect for your stay. Hamilton Hotel Washington DC: This 4-star hotel features a restaurant, a fitness center, and a bar. Our customers like its central location and comfortable rooms. Grand Hyatt Washington: This 4-star hotel features 2 restaurants, free WiFi, and a 24-hour fitness center. It's a favorite with Expedia travelers for its overall value and quiet location. POD DC: This 3.5-star hotel features a restaurant, free WiFi, and a fitness center. It's a favorite with Expedia travelers for its central location and helpful staff. While you're in town visiting National Mall, you can discover everything there is to see and do within a few miles of the area. National Museum of Natural History, National Air and Space Museum, and National Museum of American History feature captivating exhibits. Explore notable local landmarks like Washington Monument, White House, and Lincoln Memorial. You can check out the local talent at Ford's Theater, Warner Theatre, and National Theatre. If you want to see more of the surrounding area, you might plan a visit to International Spy Museum and Capital One Arena. United States Capitol is also located 0.6 mi (1 km) from National Mall, and George Washington University is 1.4 mi (2.3 km) away.